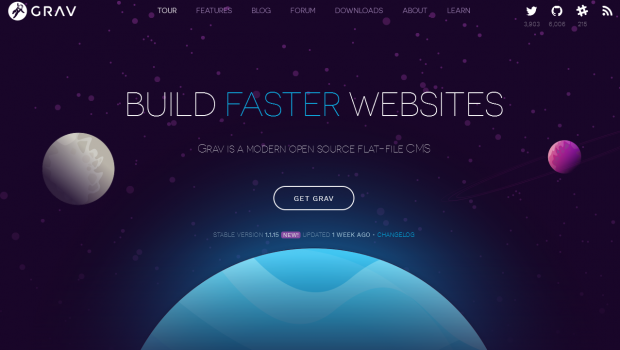 Grav is an award winning modern flat file CMS platform hosted on GitHub, originated by RocketTheme but made possible by an outstanding community of dedicated developers and users. The Grav community contributes and shares their knowledge and experiences on our GitHub repository, GetGrav Forums, and their Slack chat room. Super Easy to Use: The Grav admin plugin provides a simple and intuitive interface to make configuration and content creation easy and enjoyable.